Melissa Hege, AICP of South Florida-based Melissa Hege City Planning LLC. 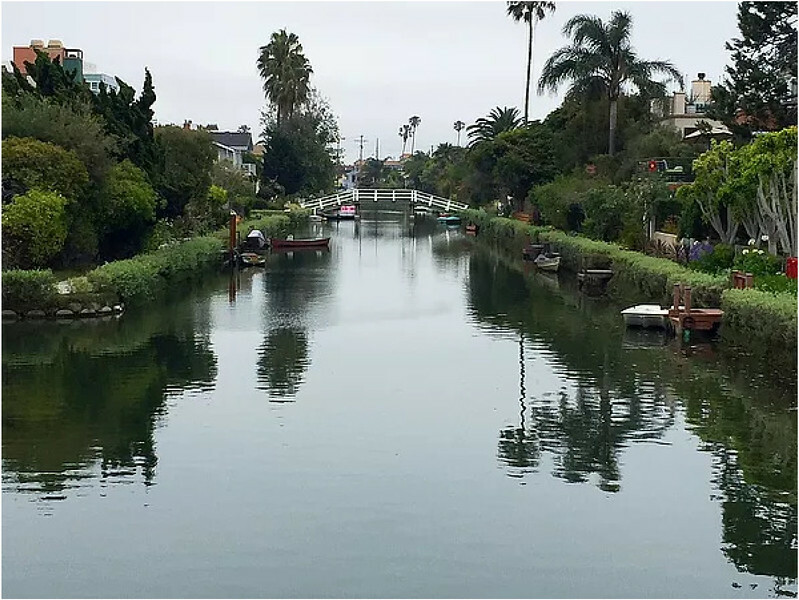 takes a trip to Venice Beach in Los Angeles, to provide other communities with a few urban planning tips on how to borrow without looking like a copycat. 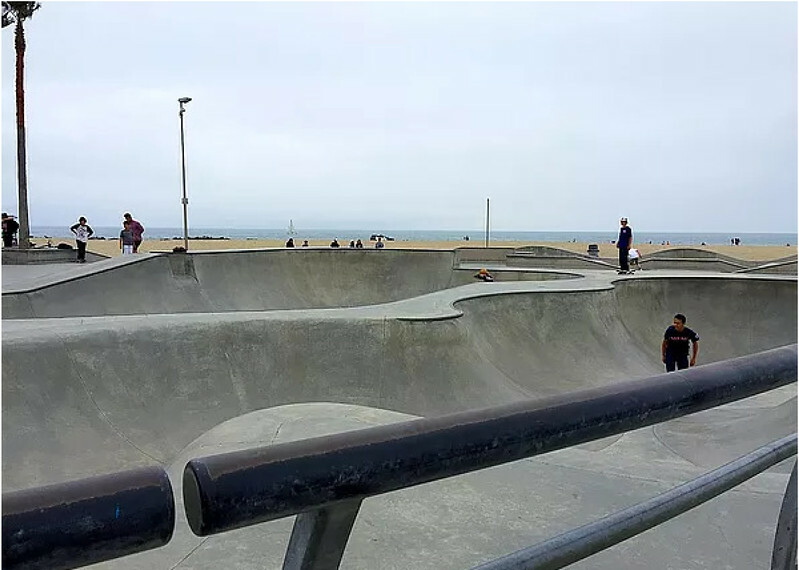 Most people think of Venice Beach like this—a funky and grungy beach which caters to the skateboarding culture. I, on the other hand, went there to see the modern houses lining the beach boardwalk which I had used as a reference for my planning work. What I found was a magical place which borrows from an Italian city, and makes it its own. Venice Beach is an interesting comparison to Miami. Miami borrowed from the Mediterranean architecture found in the European hill towns. Architects liked the design aesthetic and George Merrick, founder of Coral Gables, created an entire community of it. Over time, much of Miami adopted this architectural style, but not as well as Venice Beach’s adaptation of Venice, Italy. 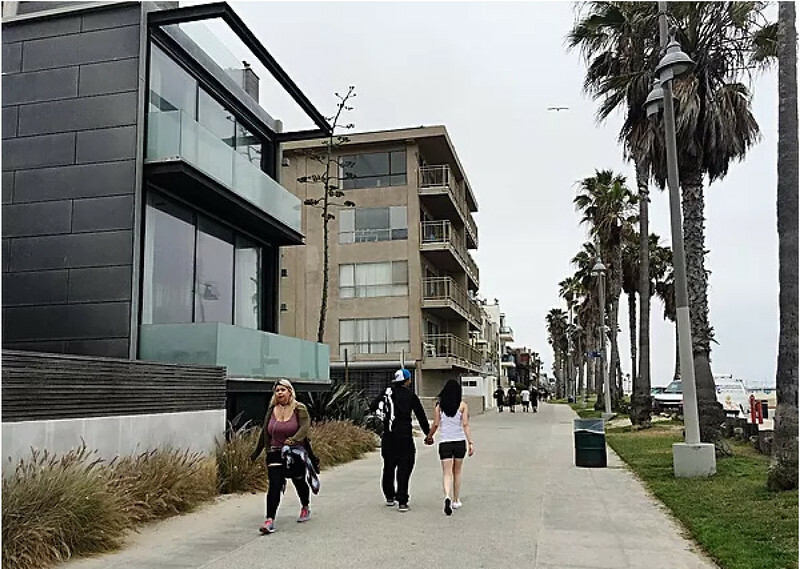 Here’s why Venice Beach is successful. 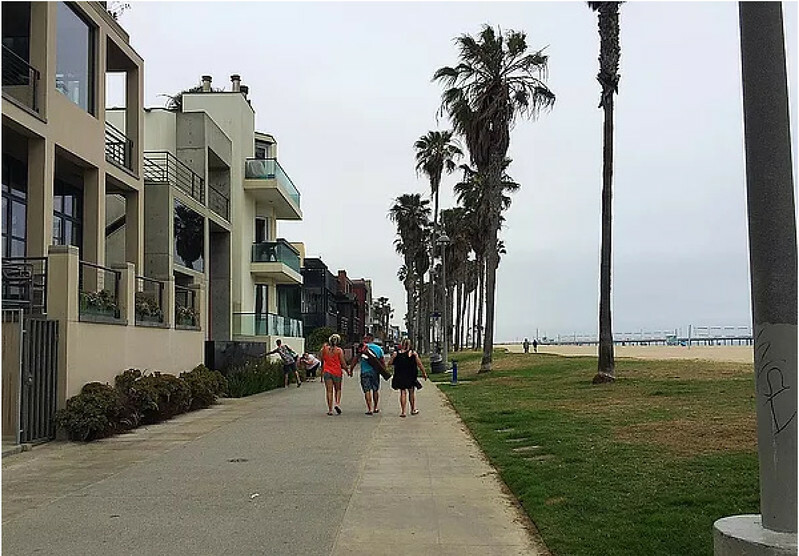 This is what most of us think of when we hear Venice Beach. There’s Muscle Beach where people are actually lifting free weights and dumbbells on an elevated platform on the sand. Then there’s the skate park. It’s quite unlike any other skate park I’ve seen. Set in the middle of the sand, it’s expansive, curvy and statuesque. It feels like it was part of the natural landscape–as if it was created over time from the wind and the sand. The skate park is really a piece of art set against the backdrop of sand and sea. This is Venice Beach. But so is this. Marvelous modern modern townhouses designed by some noteworthy architects. Each is like a tiny jewel box set right on the water with a public walkway along the front yard. Each home’s “front yard” is defined by large pavers. This area is private. The public space begins at the asphalt path. 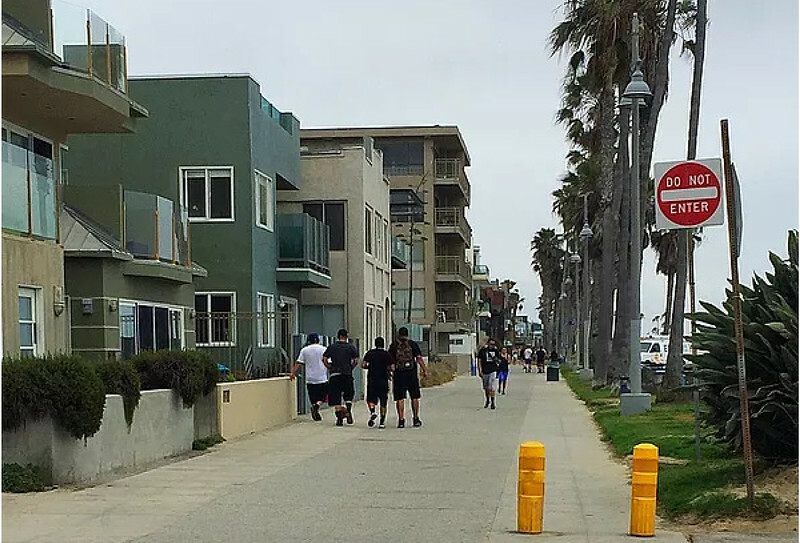 A second row of pavers between the pedestrian walkway and the beach is a space created for bicycles. This is California, an egalitarian State where water views aren’t just reserved for the wealthy! The backyards don’t have much privacy either. 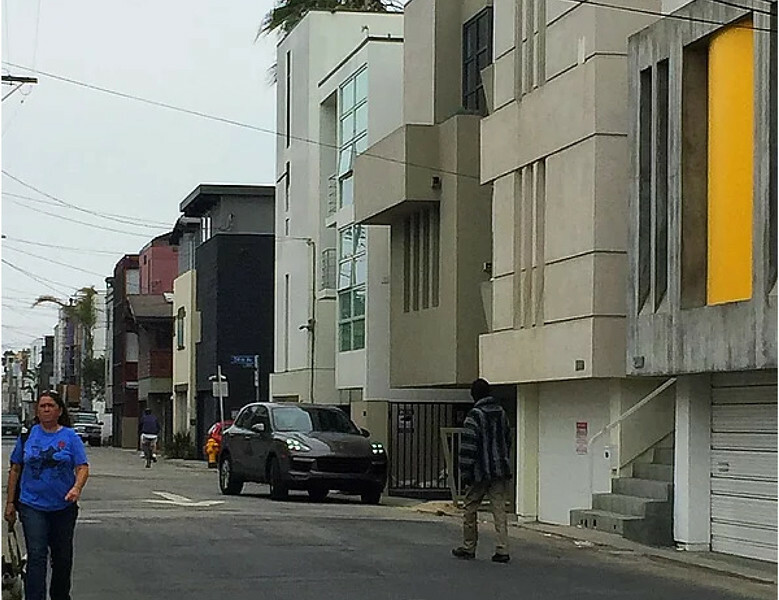 But hidden behind this face of Venice Beach is a wonderful surprise and the reason for the city’s name. 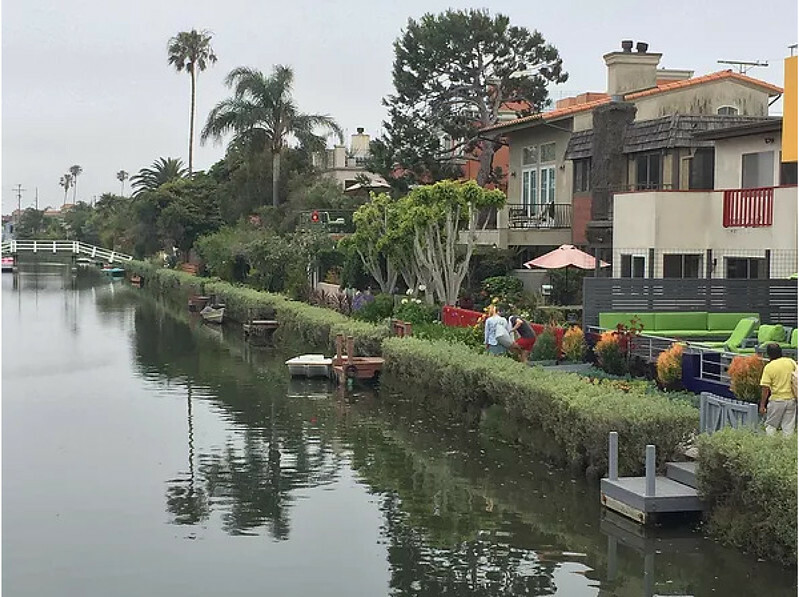 Beautiful and quaint canals brimming with plants and flowers. Tiny little boats line the waterway and adorable footbridges create perfect photo opps! It’s almost like walking through an impressionist painting. Here’s a closer view of how traditional looking homes abut the water and their tiny docks peeking out ever so slightly from the bushes. It’s a very subdued and understated scene.